Laisimo newest TC vapor box mod wyvern 235, black and red colors available, max output 235watts, support resistance as low as 0.05ohm, support different output modes, support TI, NI, and SS vape wires. powered by 2pcs 18650 batteries, magnetic battery door, easy to use and replace batteries.1.3inch colorful TFT screen, easier to read and user-friendly and makes your visual is more comfortable. 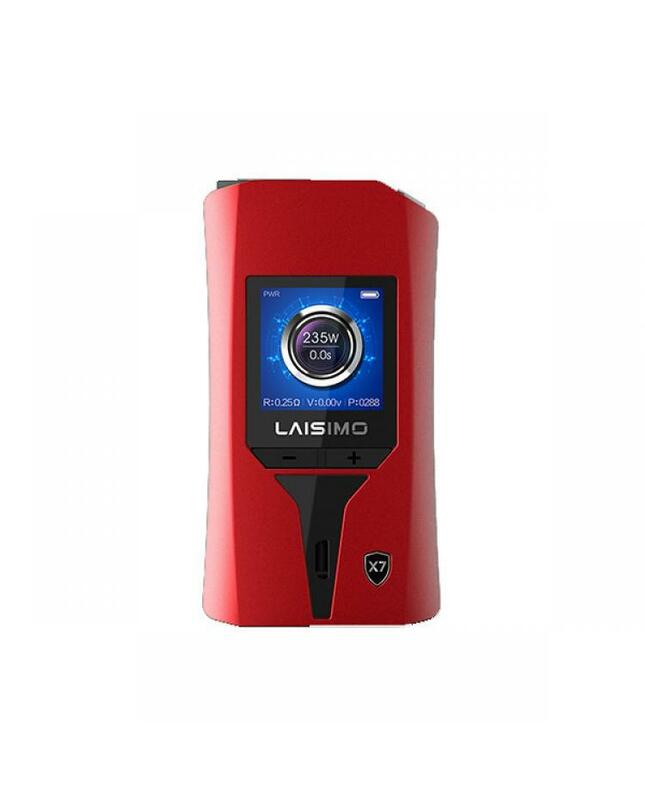 the new laisimo vape box mod with multiple protections for safe to use. the wyvern 235 with puff calculator function, can help vapers to record your daily puff and can also set your own daily puff as your like. can upgrade the firmware via connecting it to your computer.